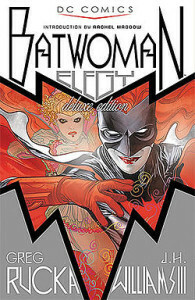 The Batwoman: Elegy story arc collects Detective Comics issues #855 to #860. You can get it as a collected volume here, if you are so inclined. Taking place before the New 52 event, it is still definitely worthwile to get and enjoy. Second, Kate’s sister (Beth/Alice) is coming back after vol. 3 and you need to understand the emotional problems that will rise out of that. 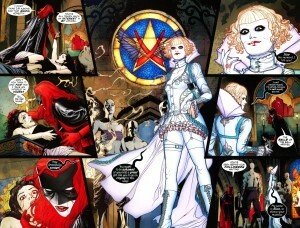 Third, it was done by Greg Rucka and J.H. Williams III. who give us eye candy like the one below. 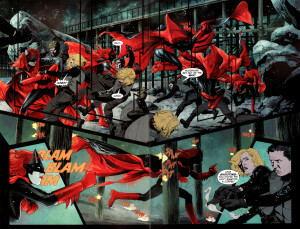 (And I’m solely talking about the use of double pages, colours and space in the comic!) The flow and dynamics are exceptional and make reading this comic a wonderful experience even if you are reading it, like I always do, on a Kindle Fire HD. 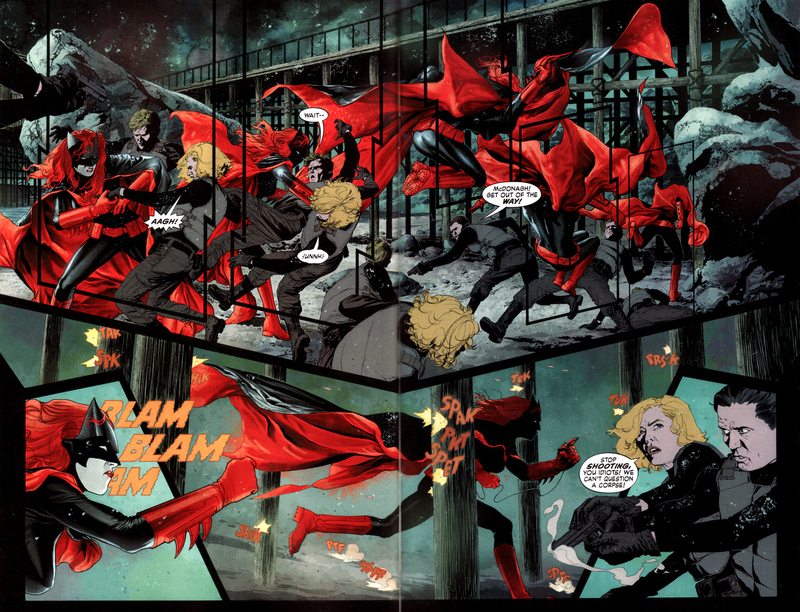 So, if you are going to read the New 52 Batwoman, be sure to check out ‘Elegy’ first.